I saw this in tumbler. 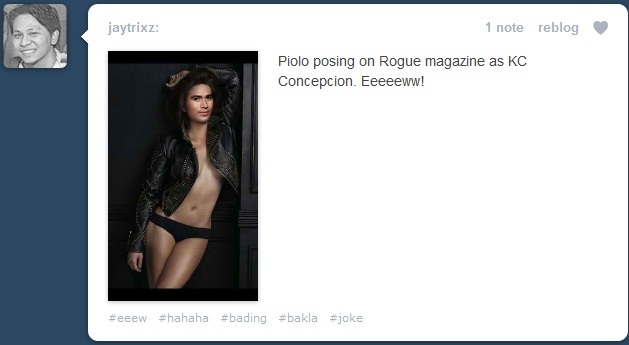 The new Rogue magazine pictures show the face of Piolo Pascual on KC Concepcion's body. Well, I am not an expert in Photoshop but I think they superimposed Piolo's face on KC's picture don't you think?